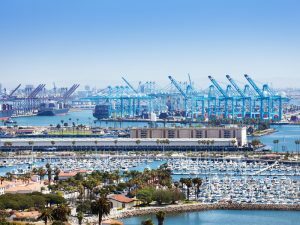 Schneider Electric has won a $5.2 million contract to provide a microgrid for the nation’s second busiest port, the Port of Long Beach in the city of Long Beach, California. One of the giants in the microgrid arena, Schneider will design, engineer and build the $7.1 million project. Part of the funding — $5 million — comes from a California Energy Commission grant. Microgrids provide a way for ports to minimize use of diesel generators, their common form of power backup. Ports are seeking cleaner options as they pursue new energy and environmental goals. For example, the Port of Long Beach — which calls itself ‘The Green Port’ — is working to become a zero-emission operation. “Ensuring a stable supply of energy is crucial to the zero-emissions future the Harbor Commission envisions for the Port of Long Beach,” said Tracy Egoscue, president of the Long Beach Board of Harbor Commissioners. Because of their ability to island, microgrids offer a way for ports to secure electricity supply even if a power outage occurs on the central grid. Reliable electricity is crucial to major ports given the volume of business they do. The 3,200-acre Port of Long Beach handles $194 billion in cargo per year. It has 140 shipping lines with connections to 217 seaports. The microgrid will bolster energy resilience for the port’s critical response facility, the Joint Command and Control Center (JCCC), which functions as the port’s hub for security. “Across all industries and public entities, there is increasing demand to bolster energy resilience to support business continuity at critical facilities. The plans of the Port of Long Beach illustrate the foresight required to augment ongoing electrification efforts with resilience,” said Mark Feasel, vice president, smart grid & microgrid, Schneider Electric. As part of the project, Schneider will help compile and analyze 12 months of performance data to ensure the microgrid moves the port towards its energy resilience goals. Schneider’s EcoStruxure Power solutions including Power Monitoring and Power SCADA Operation. The port will serve as a site for federal, state, and local response agencies to visit and learn about microgrids. 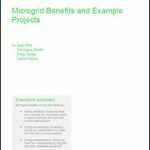 Schneider Electric will develop a “lessons learned” guidebook about the project to support replicability and commercialization of microgrids — part of the goal of CEC grant program. As part of the project, Schneider also will undertake local workforce development with Long Beach City College and the International Brotherhood of Electrical Workers. The announcement comes as a growing number of airports, ports and other transit centers are developing — or already operating — microgrids. These include the Port of Los Angeles, The Port of San Diego, San Diego International Airport and the Redwood Coast-Humboldt County Airport in California; the Pittsburgh International Airport in Pennsylvania, the Chattanooga Airport in Tennessee, and Bradley International Airport in Connecticut. 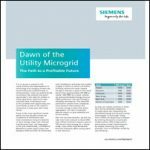 Track news about microgrids at ports. Subscribe to the free Microgrid Knowledge newsletter.